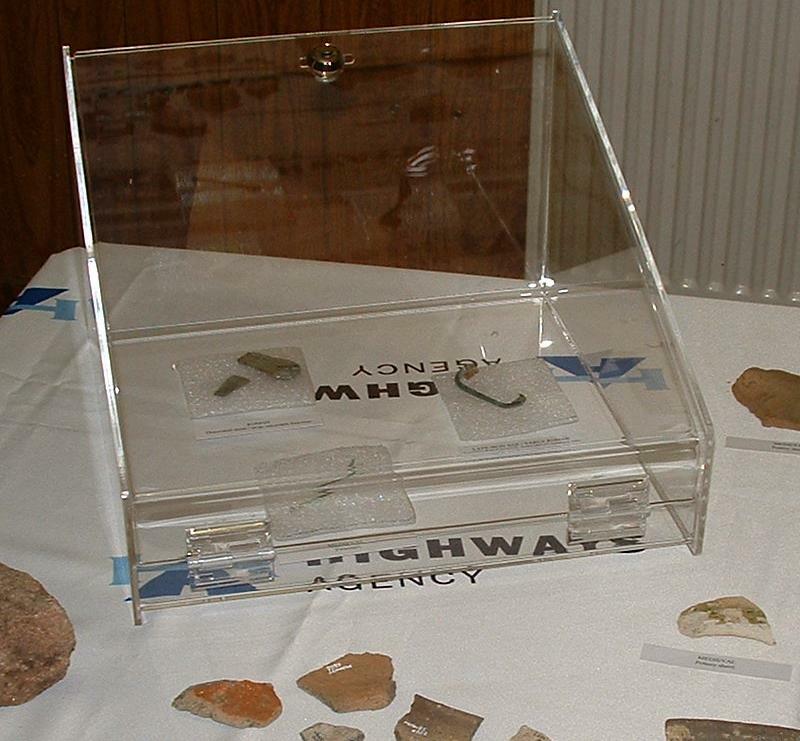 On Monday 22nd October 2007, between 10am and 3pm, Leverstock Green Village Hall opened its doors FREE to the public on an exhibition featuring finds from the archaeological digs undertaken at Junctions 8 & 9 the previous autumn. 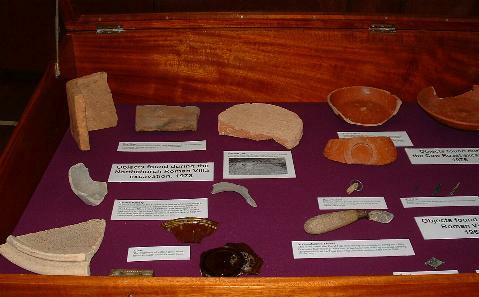 In addition, the exhibition, which had been initiated by Leverstock Green Village Association Chairman & Local Historian Barbara Chapman, also featured various displays from Dacorum Heritage Trust ( DHT) of other archaeological finds in the Hemel Hempstead Area, and a rolling slide show put together by Barbara Chapman, of archaeology in the immediate Leverstock Green area. 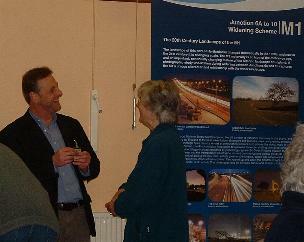 The exhibition was sponsored by the Highways Agency and their contractor Balfour Beatty, and Pamela Melrose, one of their Public Relations Officers, together with a couple of the engineers from the current motorway widening scheme who were also on hand to explain the work which is being undertaken. 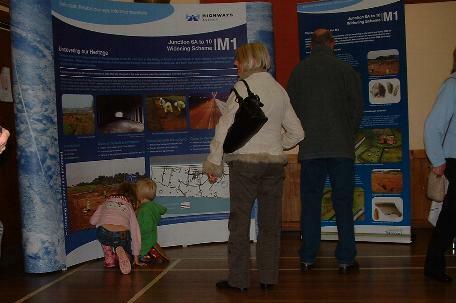 Available to answer questions relating to the archaeology and local history were Andrew Holmes (right), M1 motorway Archaeologist; Richard Lewis, Curator DHT; and Barbara Chapman, Leverstock Green’s Local Historian. 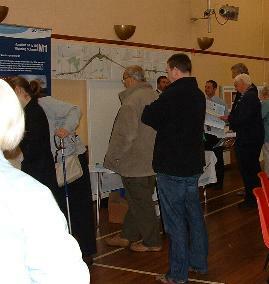 The exhibition was extremely well attended with a steady stream of visitors all day, some of whom were waiting for the doors to open at 10 a.m. & some of whom arrived after the doors were shut! 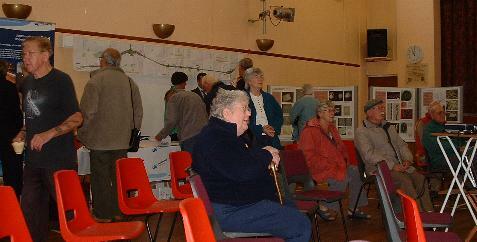 Altogether over 220 visitors came over the 5 hours the exhibition was open. 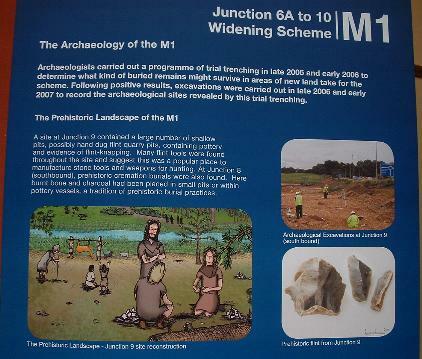 and photographs on display from the motorway dig. 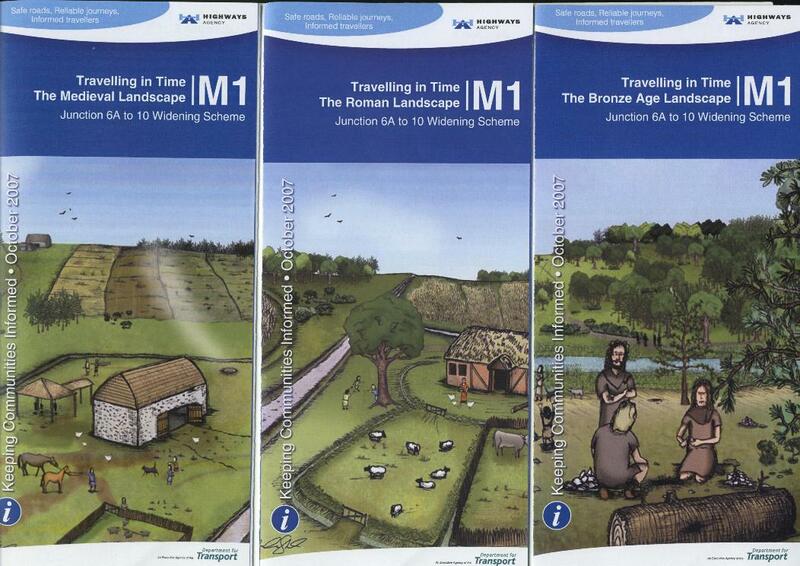 Romano-British trackways, field systems, lime kilns, quarry pits, wells and a corn-drying oven. 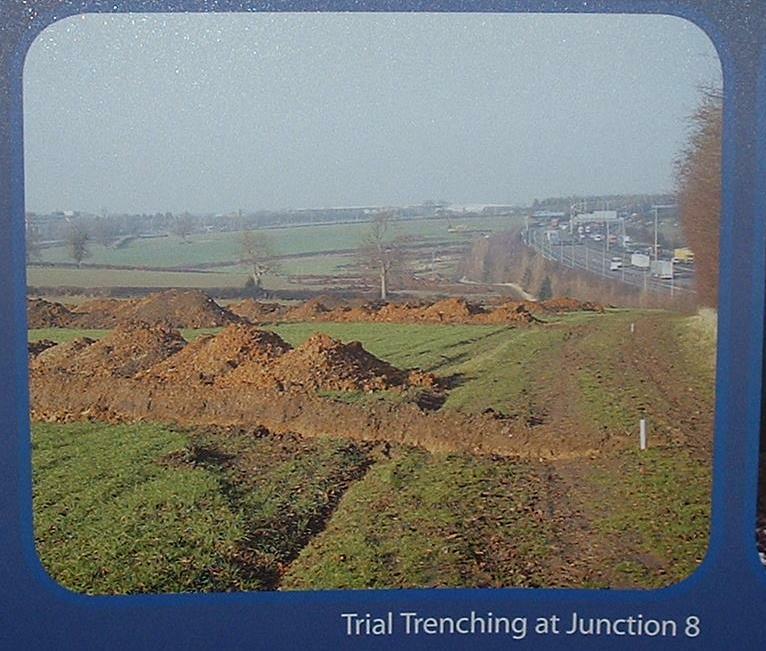 Other ditches with occupation evidence from the early Iron-Age and later Roman period. Considerable quantities of pottery etc. from both Roman and medieval periods. Series of square post-holes – possibly remains of a Medieval barn or cruck-built longhouse, laid out to respect an earlier Roman trackway. Evidence of smaller medieval outbuildings. 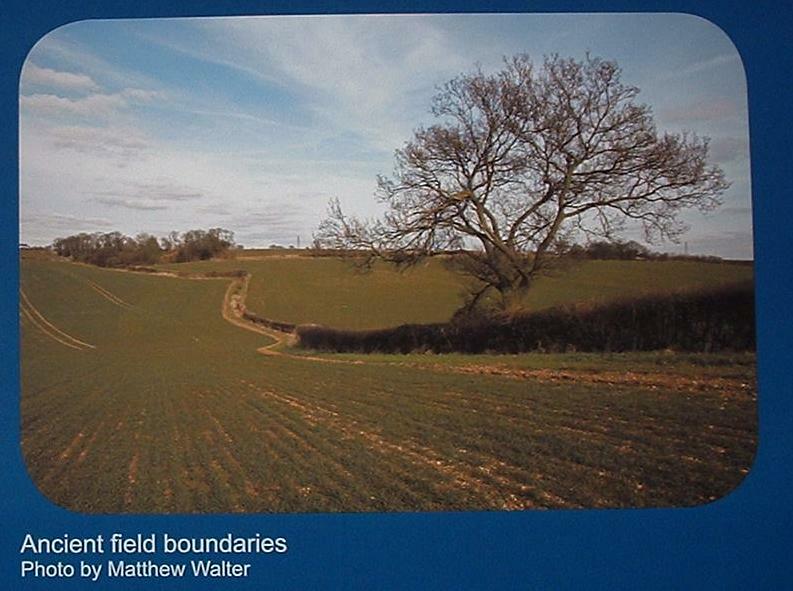 Within this medieval enclosure a number of agricultural pits containing burnt remains, limestone or refuse. 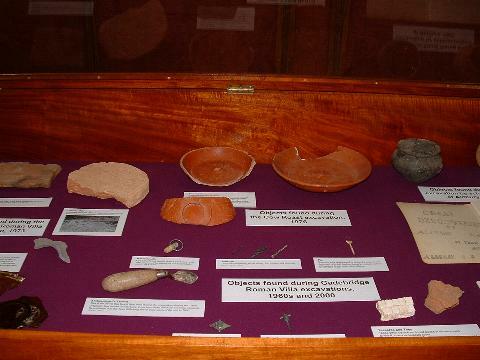 THE FINDS FROM THE THESE DIGS WILL EVENTUALLY BE DEPOSITED AT VERULAMIUM MUSEUM. 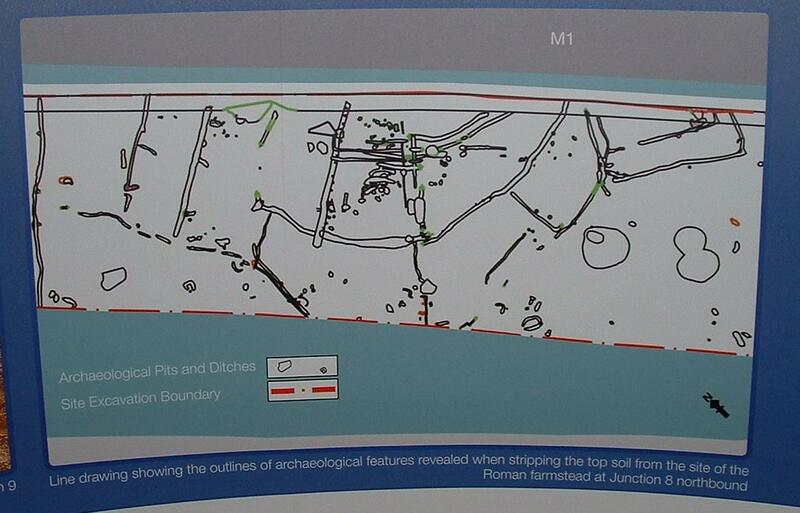 RIGHT: Line drawing of dig at Junction 8 - click on image to enlarge. Amongst those interested were several children as it was half-term. One young man of about 9 years of age, even brought along some finds he had dug up in has back garden for the archaeologist to evaluate, something emulated by several of the adults attending as well. 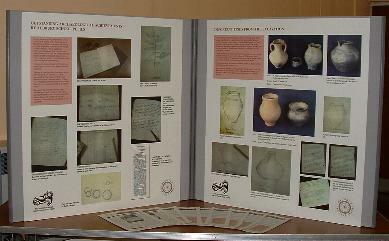 Where their items were of interest, the owners were recommended to report their finds to Verulamium Museum under the Portable Antiquities Scheme, http://www.findsdatabase.org.uk/hms/home.php?publiclogin=1 and for eventual inclusion in the Hertfordshire Sites & Monuments Record. 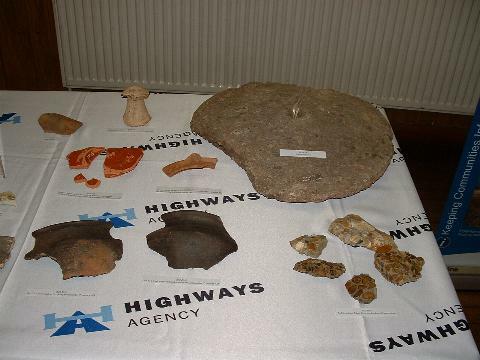 Dacorum Heritage Trust's Curator, Richard Lewis, also brought along a selection of double-sided panels describing mostly Roman finds in the Hemel Hempstead area, as well as a display case full of artefacts. 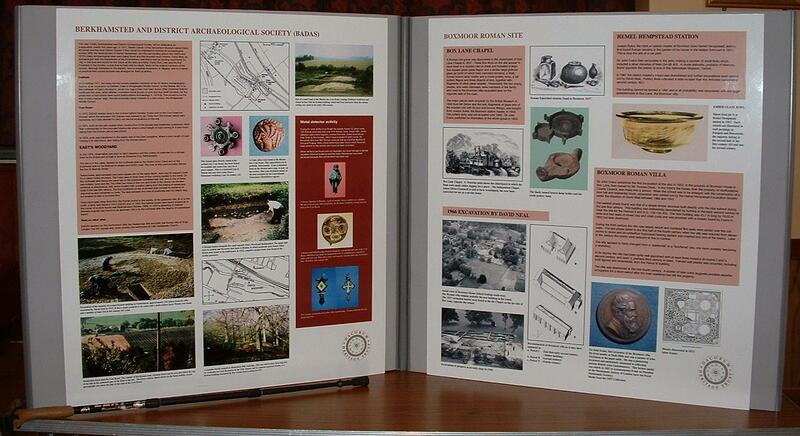 These various displays, together with the slide-show featuring the archaological features discovered in the Leverstock Green' Area over the past 15 years, led to a very satisfying experience for those who attended, as witnessed by the many kind comments. 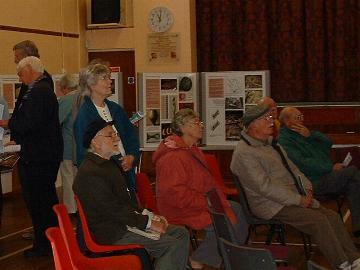 A further talk was arranged at Leverstock Green Hall on Friday 29th Feb. 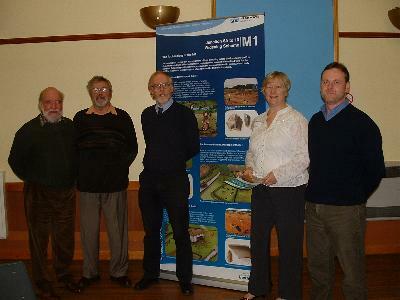 Giving the talk were Consultant Archaeologist Andrew Holmes and a collegue Paul Booth, from Oxford Aarchaeology. It was a great success. The hall was virtually full to capacity. Roger Hands & Eric Edwards from Dacorum Heritage Trust were also able to have a discussion with the Archaeology team before the talk, and it is hoped that in the future, some of the finds from the digs may be available for loan to DHT. 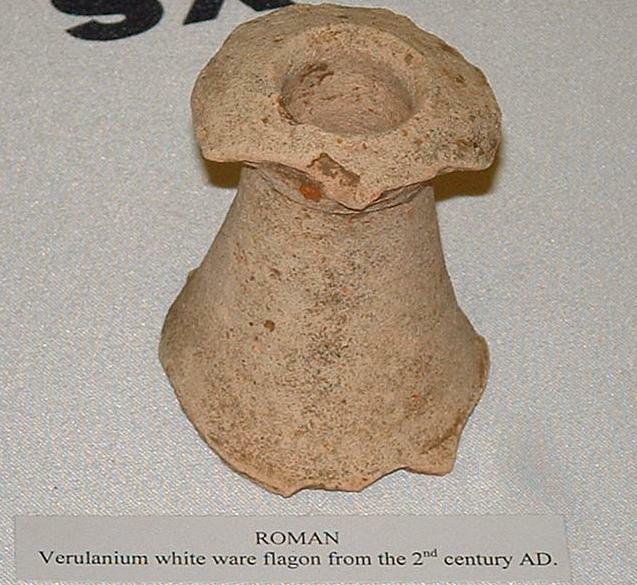 Technically the digs were within St. Albans’ authority, (although of course very much on Dacorum's doorstep) and the artefacts are destined to go to Verulamium Museum eventually. The full report on the dig will be out in about 12 months time. 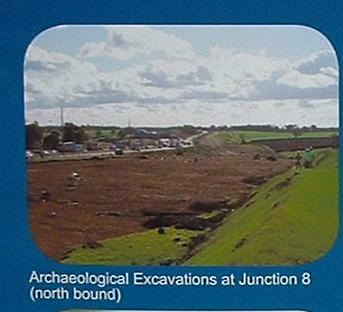 Additional informtion concerning the motorway digs can be found by clicking the link below. Eric Edwards (Dacorum Heritage Trust), Roger Hands (Chairman Dacorum Heritage Trust), Paul Booth (Oxford Archaeology), Suzy Keeley (Balfour Beeaty), & Andrew Holmes (Senior Heritage Consultant, Atkins).